It was a cool September night in 2011. Kamelia Kameli’s long legal battle with her son’s school district was finally over, resulting in a settlement. As she sat on her deck, utterly exhausted, she thought about how she’d never give up on providing her child with his best life possible. But looking back, it’s fair to say she was more anxious than ever about his future. 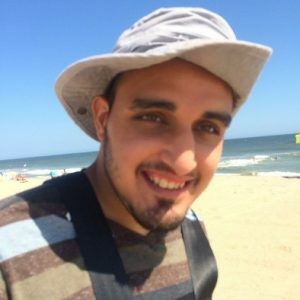 Kamelia’s boy, Cyrus, was diagnosed with autism at the age of two and a half. Cy’s childhood and teenage years were challenging, but full of love, activities and learning. But around the age of 16 Cy was diagnosed with OCD and Tourette’s Syndrome. Two years later, with Bipolar Disorder. Soon after that he began experiencing seizure activity. Doctors ran tests and identified a nodule on his brain; the result of Tuberous Sclerosis Complex (TSC). TSC is a disorder that causes the body to generate tumors in the brain as well as the kidneys, eyes, skin and heart. Kamelia was crushed, but heartened to see him trekking forward, mostly undeterred. By 2011, Cy was 20 years old and close to graduating from the public-school system. As Kamelia’s family began planning his transition into adult support services, they struggled to find him the level of care they knew he needed to thrive and grow. After months of research and networking, Kamelia came to a regrettable conclusion. There simply were not adequate opportunities and options for Cyrus and young adults like him. Sadly, this wasn’t exactly breaking news. Parents like Kamelia don’t need to read academic journals to know about the woeful lack of services available to adults with developmental disabilities and significant challenging behaviors. They need only speak with members of their own support groups to appreciate how far from alone they are. And so it was from the dust of these circumstances – trapped, out-of-options, and yet strangely un-alone, that Friends of Cyrus was born. If Friends of Cyrus was to be, Kamelia needed a talented and experienced co-founder. Having already worked with Daren Singhani, the then CEO of International Medical Resources, Kamelia knew that Singhani’s executive management expertise would be invaluable to FOC’s early success and sustained growth. Thankfully, Daren was up to the challenge and agreed to become Friends of Cyrus’s CEO. In 2013 the two co-founders began working from their home offices. They started by recruiting experienced and passionate talents who were not afraid of joining a start-up agency with big plans. After several months, the small team moved to a single office in East Brunswick, NJ and began charting a bold path forward. The timeline below tracks FOC’s growth since that time. And this brings us to today. It is July of 2018, and we are fully prepared to yell our names from the rooftop. 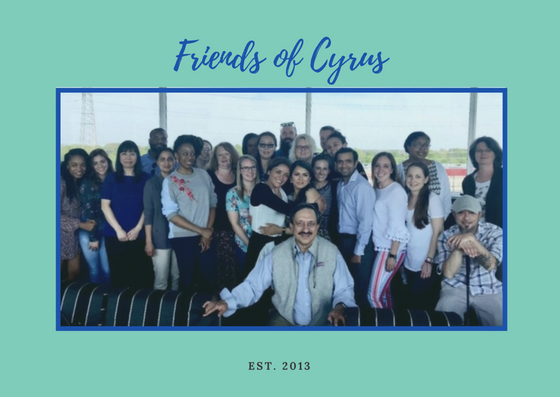 We are Friends of Cyrus (FOC), a New Jersey based agency dedicated to the health, happiness and empowerment of individuals with developmental disabilities. Our services are broad and our participants range from toddlers to adults and older adults. We provide support throughout New Jersey and as an organization, we are on the precipice of an exciting new era of expansion. As you can see from our map, we offer services throughout South, Central and North Jersey. This is where our agency is at the moment, but we are growing fast and preparing for a series of new openings. Excited as we are about the changes around the corner, we know that with awesome opportunity comes awesome responsibility. It is for this reason we are entering a new era of communication, education and advocacy for the people we serve and the loved ones who support them. As we begin sharing resources on this blog and our social media channels, we sincerely hope you’ll join us for the ride. We will be sure to listen to you too! We have big plans for the future. But before we unveil some forward-thinking directions, it will be useful to understand the cultural and historical tides that brought us to where we are today. So stay tuned for Part II, to be released in the coming weeks. In it, we will place our story into broader cultural, political and historical context, and discuss some of FOC’s key goals for the future. 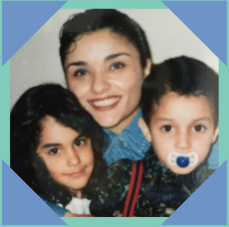 Our agency was born out of a mother’s desire to change the world for Cyrus and others like him. Many team members here at FOC work in our field for similar reasons – friends, family and loved ones. If you share the same hopes and dreams we do for the individuals we support, we invite you to join our mission. While we don’t expect the journey to be easy, we do consider it necessary and very important. The rest of our story is yet to be written. Friends of Cyrus opens a Children’s ABA Therapy Clinic in Middlesex County!